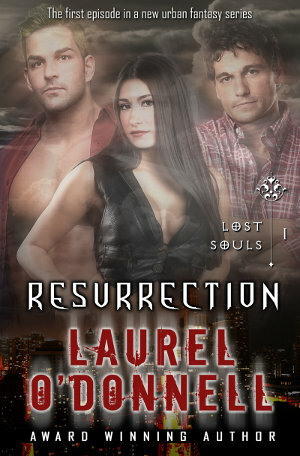 “Resurrection” is the first episode in the exciting new urban fantasy series: Lost Souls. Each book episode is only $0.99 cents! Then someone was screaming. Slowly, Christian opened his eyes. The streetlight was horizontal. Cars zoomed past vertically. The world was tilted on its side. The stoplight in the background turned red. An ice cream cone lay on the sidewalk upside down, tiny chocolate rivers streaming out from beneath it in all directions. “Daddy! Daddy!” Aurora ran up to him, her blue eyes wide and fearful. … to find his body laying on the hood of the black car. His eyes were open, staring with a glassy expression. Blood trickled from his parted lips. Christian stared down at himself on the hood of the black car, shocked. Immobile. Christian reacted immediately, stepping away from his body, away from the black car, moving toward her, his arms extended, instinctively wanting to shelter his daughter from the grisly sight. Someone else rushed towards Aurora, heading straight for them. Christian startled, expecting the impact, but there was no collision of their bodies. The woman brushed straight through him. As if he wasn’t even there. His world spun for a long moment, and he had to close his eyes to fight off the incomprehension threatening his sanity. Slowly, he felt himself settle, and the disorientation faded. He opened his eyes and looked down. His body was whole. He skimmed his arms and the slick warmth of his flesh met his exploration. He touched his face and felt skin. A nauseous feeling in the pit of his stomach was the only remnant of what had just happened. What the hell? He turned to see the woman pulling Aurora away from the accident. His motionless body lay just beyond. Only now could Christian see how bad it really was. The car had struck him at the waist, slamming him back into the brick wall of one of the buildings. His body was pinned between the black car and the red bricks. No one could have survived something like that. No one. Unnerved, he involuntarily backed away from the car, from the body… from his own body pinned and smashed by the car. Was he dead? Was this some sort of out of body experience? Through a haze of disbelief, Christian heard the world responding. Someone asked if anyone else was hurt. A car door slammed. Someone said the ambulance was on its way. And through it all, Aurora cried for him. He hurried to Aurora’s side. “I’m here!” he called. She didn’t see him; she didn’t hear him. She didn’t respond to his call. No one did. The traffic lights changed from red to green to yellow and back to red. And still, Aurora cried. She resisted the woman, trying to see over the dark haired woman’s shoulder. This couldn’t be happening. It was the beginning of his new life. He just got custody of his daughter! Suddenly, something pulled at his core. Something tugged at his soul. He gasped at the strange new sensation enveloping him and turned in a slow circle, searching for the source of what was beckoning him. There was nothing close to him, no one else nearby except for the crowd around the scene of the accident. Again, the pulling sensation swept over him. He closed his eyes and allowed the sensation to guide him. When he was facing the direction he felt the pull coming from, he opened his eyes. Across the street, a woman stared at him with large patient eyes. She was looking right at him. 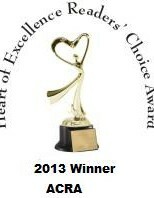 She was beautiful, with golden blonde hair cascading over her shoulders in perfectly shaped waves. Her white summer dress was much too light for the spring day. A blinding white light seemed to shine from behind her. An inviting grin curved her lips and her warm smile beckoned to him. Instinctively, he knew what she wanted. He knew she was there to take him from this world. Christian didn’t even hesitate. He would never leave his daughter. Not now. He turned his back on the angelic apparition. Aurora needed him and he had no intention of leaving her.